The Blacklist has spent so much time in its freshman season attempting to make Reddington interesting (with only moderate success) that it’s sort of forgot that there are other characters. Even Elizabeth Keen, the show’s actual lead, hasn’t really been built that strongly as a character, as the show has been slow in trying to figure out just what to do with her. “Mako Tanida” tries to flesh out some of its male characters (with varying degrees of success). 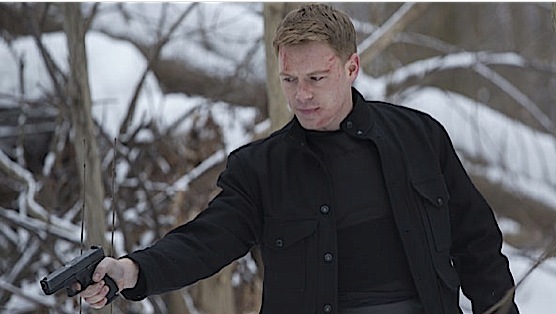 Maybe the most poorly utilized actor on The Blacklist is Diego Klattenhoff as Donald Ressler. I mean, the guy went from Homeland to this? That’s a big step down. Ressler gets the spotlight here, as the girlfriend we’ve occasionally seen is murdered as he chases down Tanida, then seeks vengeance. The whole thing feels highly reminiscent of Se7en, with twist ending and a conclusion that ends with Keen yelling at Ressler to not shoot the surprise culprit. There’s even a head in a box, as the escaped Tanida is decapitated by Reddington’s team, then sent to Ressler to give him some closure. We don’t really learn that much new about Ressler though, besides that he doesn’t have the capacity to kill someone in cold blood, which was sort of a given anyways. At least it does humanize Ressler, since this might be one of the first times he’s shown any form of emotion. Also, I’d be surprised if killing Ressler’s girlfriend isn’t just the first step in placing the pieces for Ressler and Elizabeth Keen to end up together at some point. Meanwhile, we finally get confirmation that Tom Keen isn’t who he says he is. His assignment was to marry Elizabeth and that he’s been working with the woman known as Jolene Parker. He’s been tracked down by The Cowboy (Lance Reddick), who has been working with Reddington, but Tom ends up killing both Jolene and Reddick’s character. Now yes, it’s good that Tom finally has some character to him, but we still have no idea why everyone seems so interested in Elizabeth. Why have there been two teams so far trying to infiltrate her life, and why did Reddington seemingly turn himself in just so he could work with her? Everyone seems to think Elizabeth is some fascinating character, yet we haven’t really seen that yet. But “Mako Tanida” is a strong move in the right direction for The Blacklist. We’ve needed these supporting characters to be fleshed out and for there to some drama that comes from outside the Reddington/Keen bond. Thankfully, these two take a backseat to more minor characters, and it does strengthen the story for future episodes, such as what looks to be next week’s Keen face-off. It’s nice to see The Blacklist focusing on character development in an effort to strengthen its weak stories—it may just make them interesting in the first place.